FORINTEK holding, an international group of companies, turned 28 on April 16th, 2018. 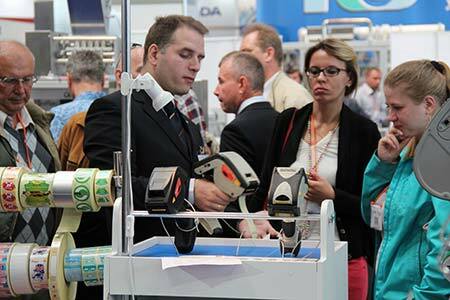 The brand Forintek has stood the test of time and is the major player in industrial product marking, labelling, and packaging in Russia, Ukraine, Belarus, and the Baltic states. Currently FORINTEK holding consists of six Russian engineering companies and three foreign firms, namely: Forintek STC AI, CJSC (ZAO) (Moscow, Russia), Forintek-SP LLC (OOO) (Saint Petersburg, Russia), Forintek-UG LLC (OOO) (Krasnodar, Russia), Forintek-Volga LLC (OOO) (Samara, Russia), Forintek-Siberia LLC (OOO) (Novosibirsk, Russia), Forintek-Ural LLC (OOO) (Yekaterinburg, Russia), Forintek-Bel LLC (OOO) (Minsk, Belarus), Forintek-Baltija SIA (Riga, Latvia), Forintek-Ukraine LLC (OOO) (Kiev, Ukraine). FORINTEK holding is headquartered in Moscow, at Forintek, Scientific and Technical Centre of Academy of Innovation, – Forintek STC AI, CJSC (ZAO), which has become the centre of forming and developing FORINTEK holding. For many years, Forintek has been an official distributor of such companies as Hitachi Industrial Equipment Systems Co., Ltd. (Japan), Novexx Solutions GmbH (Germany), Avery Dennison Corporation (USA-Germany), Allen Coding GmbH (UK), Weber Marking Systems GmbH (Germany), MACSA ID, S.A. (Spain), Eidos (Italy), COUTH (Spain), Epson (Japan), Tommy Nielsen (Denmark), Savema (Turkey). Thanks to Forintek’s business activeness and stability, more and more companies are choosing Forintek to do business with. There are about 2,500 national and international companies on Forintek’s customer database. Among them, there are leading food and beverages manufacturers, meat processing plants, and major chemical, pharmaceutical, car, electronics companies, not to mention warehouses and logistics centres. 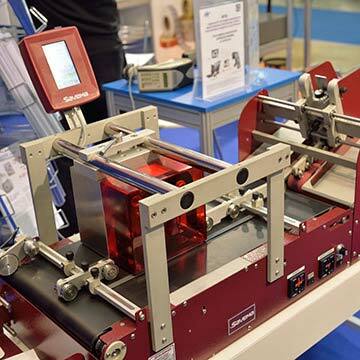 By now, there are over 13,500 units of different kinds of equipment installed by FORINTEK holding, which provides complete and effective solutions for coding, marking, labelling and packing of varied products. 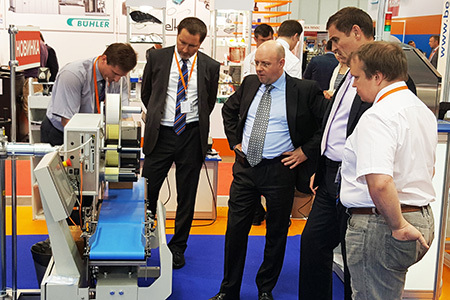 Forintek’s staff actively learns new types of the state-of-the-art technologies for product identification and packaging and introduces them into Russian markets. 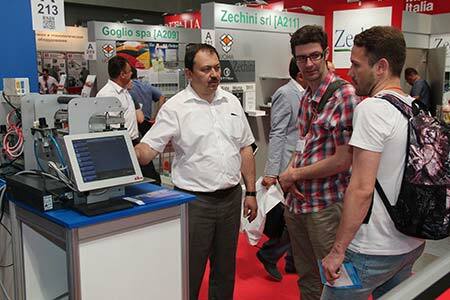 Forintek attends the largest trade shows exhibiting the latest equipment for industrial marking and packaging there. 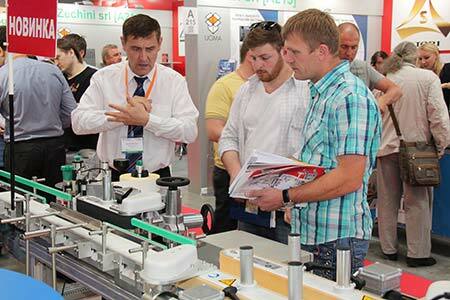 Forintek offers free training courses for the customers. Forintek puts a lot of effort in popularizing modern high-tech equipment for product identification, publishes various relevant and useful material on it, and advertises both in the print media and on the Internet. Forintek specializes in the supply and service of high-tech equipment such as: continuous inkjet (CIJ) printers and thermal inkjet (TIJ) printers, thermal transfer printers, labelling systems and machines, textile/apparel label printers, dot peen marking systems, hot foil coders, laser marking systems, color label printers, handheld printers, blister packaging machines, and others. Forintek was founded in 1990 on April 16th. A company logo – FIT (Forintek) – was registered as Forintek’s trade name. Forintek developed from a small business, a scientific and technical bureau Energy, which was set up by leading researchers and experts from Moscow Power Engineering Institute (National Research University MPEI) in 1987. In the beginning of the 1990s, Forintek focused on research and development as well as on introduction of the results of the R&D into some sectors of the industry in Russia and neighbouring states. The establishment of a new company, Energy OJSC (OAO), on Sakhalin island with the aim of constructing geothermal power plants on the Kuril Islands. Historical changes in Russia, brought about a dramatic transformation in the lives of the Russians and in their activities. In the mid-90s Forintek crossed over to exploration and application of foreign high technologies into the Russian industry. 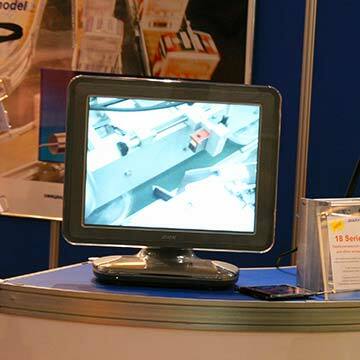 Forintek was primarily concerned with marking, coding, labelling and packaging technologies which by the time were much more advanced abroad than at home. Forintek’s business stability, a positive and responsible attitude attracted a lot of international companies seeking reliable partners in Russia. 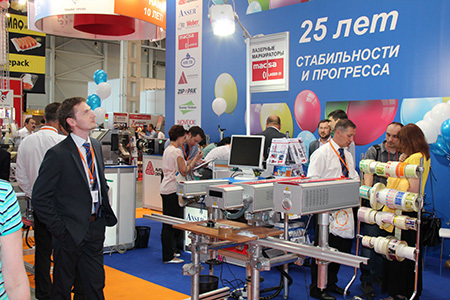 In 1993, Forintek became an official exclusive distributor of a US company, Videojet Systems International Inc. For more than 10 years Forintek promoted the Videojet’s line of marking systems both in Russia and the neighbouring countries. 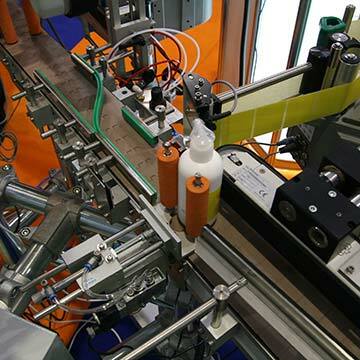 As a result over 1,000 units of Videojet’s marking systems were installed. 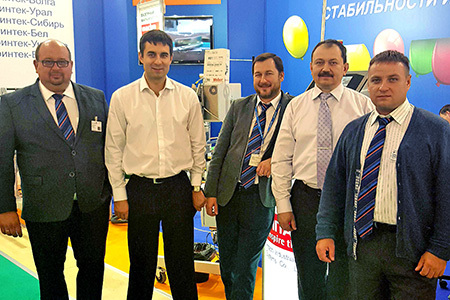 During the partnership with Videojet Systems International Inc., Forintek started opening its branches in Saint Petersburg, Krasnodar, Ulyanovsk, Rostov-on-Don, Yekaterinburg, Samara, Novosibirsk, Minsk, Kiev, Riga. Forintek started developing and has become international in scope. 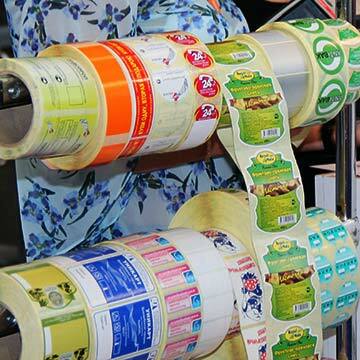 Since 1998, Forintek has been an official distributor of Avery Dennison Corporation (USA – Germany), a global leader in labelling and thermal transfer printing on roll materials. 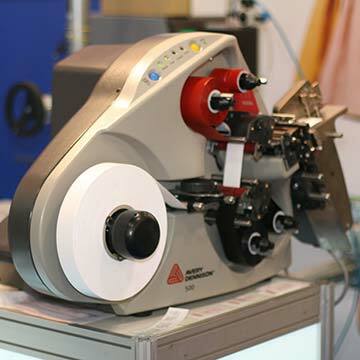 Since then above 3,500 units of the Avery Dennison’s thermal transfer printers, applicators, labelling machines, and print and apply systems have been installed and serviced. Due to German reliability and the top quality assembly, the Avery Dennison’s machines are still immensely popular with and in demand in Russian and foreign enterprises. 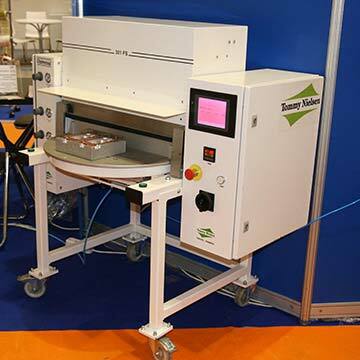 Since 2003, Forintek has been an exclusive distributor of Tommy Nielsen (Denmark), a manufacturer of unique blister packaging machines. 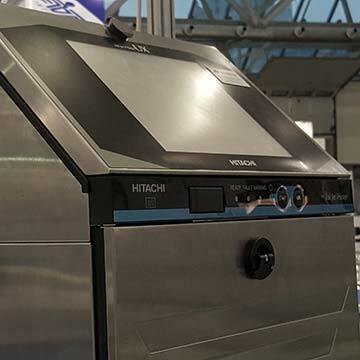 After a merger of Videojet Systems International Inc. and Willett International Ltd., a Japanese company, Hitachi Industrial Equipment Systems Co., Ltd., proposed partnership to Forintek. Since 2005, Forintek has been an exclusive distributor of Hitachi Industrial Equipment Systems Co., Ltd. (Japan) in Russia and some neighbouring countries. 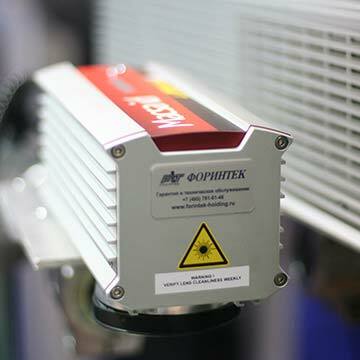 By now, there are more than 1,500 units of the Hitachi’s inkjet printers installed. 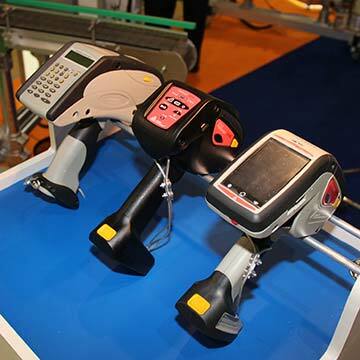 At the beginning of 2005, a business relationship with Markem Corporation (USA), a world leading manufacturer of marking and coding equipment, was established. 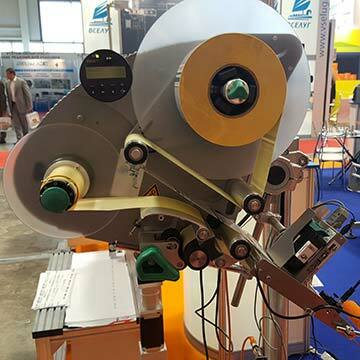 The most interesting models of the Markem’s laser systems, thermal transfer printers, and hot foil coders were marketed successfully by Forintek. 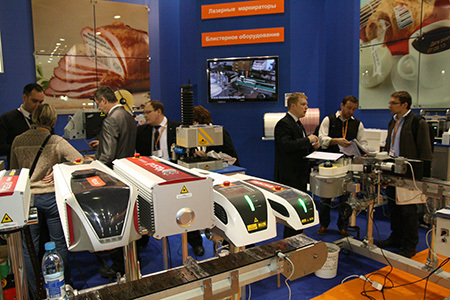 For over 5 years Forintek was an official exclusive distributor of the Markem’s products in Russia. As a result, about 1,000 units of the Markem’s systems were installed. 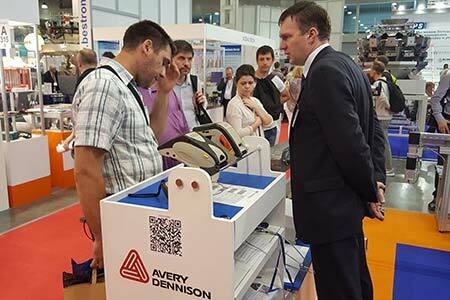 Since 2007, Forintek has been an exclusive distributor of ANSER Coding Inc. (Taiwan) in Russia. ANSER Coding Inc. is one of the leading global manufacturers of modern HP®-based mobile thermal inkjet printers, including handhold TIJ printers. Forintek ceased to be an exclusive distributor of Markem’s products after Markem Corporation and Imaje Group merged to become Markem-Imaje. 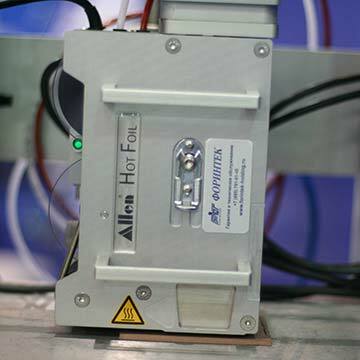 A cooperation proposal from a British company – Allen Coding Systems, a division of Illinois Tool Works (ITW) – followed. Time takes its course, companies merge, new businesses start, and Forintek has been going forward as steady as ever. 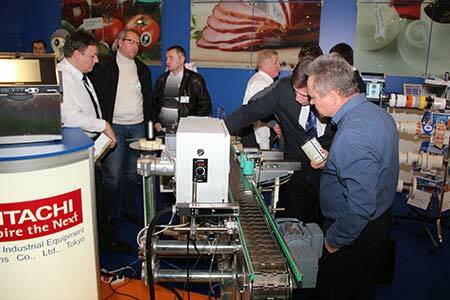 Forintek has been an exclusive distributor of Allen Coding Systems in Russia and neighbouring states since 2009. Collaborative work between the specialists of Allen Coding Systems and Forintek is quite productive. 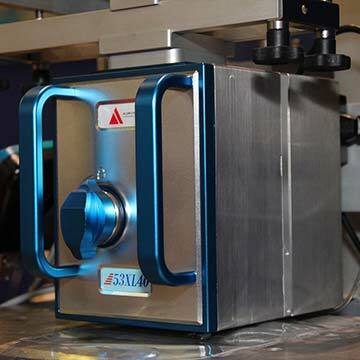 Some new models of the Allen’s machines are going to be launched in the near future, the ones that are improved and meet the needs of Russian customers. 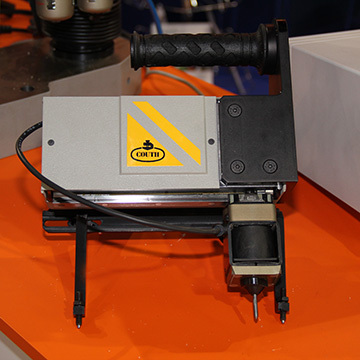 In 2010, after the break-up of the distributorship for the Markem’s products, in order to fill the gap of laser technology in the product range, Forintek began a relationship with MACSA ID, S.A. (Spain), a global leading developer and manufacturer of laser coding and marking systems. 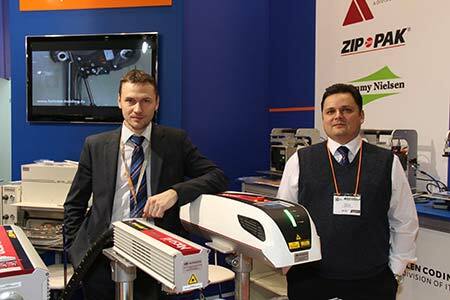 At the moment, Forintek is an official exclusive distributor of the Macsa’s lasers in Russia. In September 2011, Forintek and Avery Dennison extended their cooperation and included some of the Avery Dennison’s textile label printers in the range. In January 2012, a distribution agreement with Zip-Pak Systems (USA – UK) was negotiated successfully. 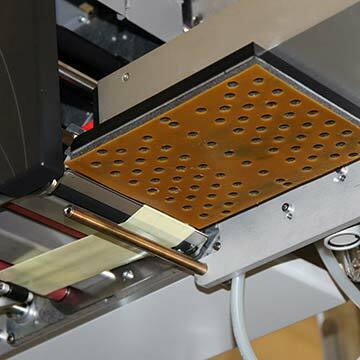 A worldwide leader in resealable packaging technology, Zip-Pak Systems pioneered the zipper feature for flexible packaging and adapted it for automated applications. The solutions from Zip-Pak enable flexible packaging to be easily opened and closed, keeping foods fresh. Forintek holding offers these solutions to Russian food manufacturers and producers of pharmaceutical, agricultural and other goods, to help them preserve their products freshness for longer. As part of development of business relationship between Forintek and Avery Dennison, since June 2013 Forintek has offered the Pathfinder handheld printers to chain stores, logistic centres and other enterprises. 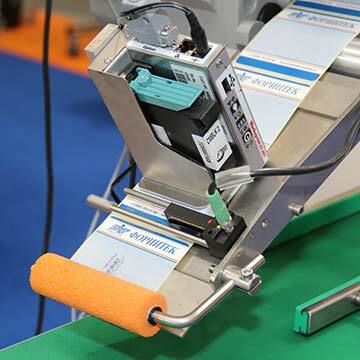 By combining the powers of scanning, printing and applying into a unique one piece solution, the Pathfinder handheld printers are indispensable for accurate and quick inventory control of huge stocks as well as for faultless printing markdown price labels. 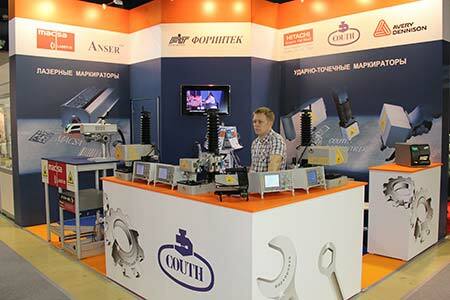 One of the latest important achievements in the field of international business cooperation has become a distribution agreement concluded with COUTH (Spain), a global leader in manufacturing equipment for industrial marking on various metal parts and goods. In February 2014, we started our co-operation with Weber Printing Systems, a well-known company and the only manufacturer worldwide that is able to centrally control four printing technologies: Hewlett Packard printheads for small high resolution coding; Trident industrial printheads for large coding; Funai printheads for high resolution marking at very high speed; and Xaar printheads for excellent print quality and high productivity. 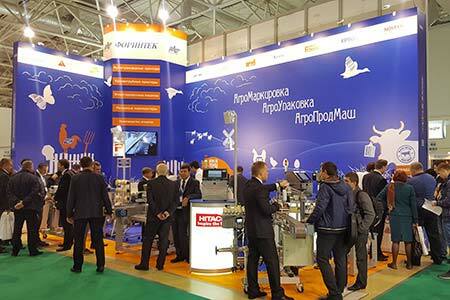 Since 2016 Forintek has been an official distributor of NOVEXX Solutions GmbH in Russia, Belarus and the Baltic states. NOVEXX Solutions entered the market in June 2015 as a new and yet globally recognized company resulted from the acquisition of the Avery Dennison’s Industrial Print & Apply (IPA) line of business by the L. Possehl & Co. mbH Group of companies. As a former division of Avery Dennison, NOVEXX Solutions combines 50 years of top-class expertise from a global player with the straightforward flexibility of a powerful mid-size enterprise. 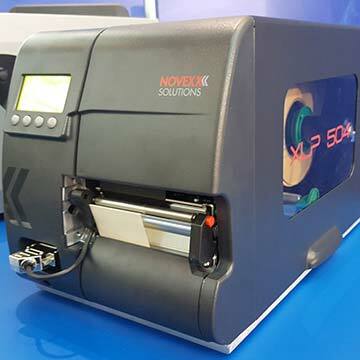 The product and service portfolio of NOVEXX Solutions includes hardware and software solutions, high-quality consumables, and professional on-site service. 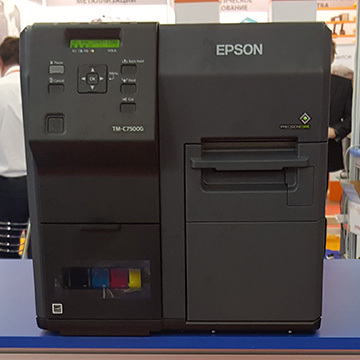 In February 2016, Forintek became an official supplier of the new ColorWorks Series printers from Epson (Japan) in Russia, Ukraine, Belarus and the Baltic states. 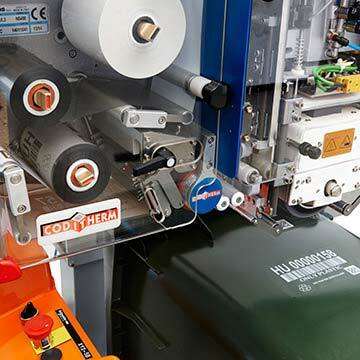 Now Forintek’s customers can bring their label production in-house, and quickly and efficiently print their own customised full-colour labels exactly when they need them and in the quantities that they will actually use. With the Epson’s ColorWorks inkjet printers, chemical manufacturers can create highly durable full-colour GHS Hazard Communications labels that meet BS 5609 regulations. 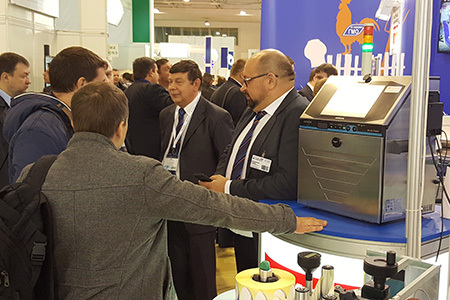 At the moment, there are many business propositions from foreign companies regarding long-term cooperation with Forintek in distribution of various machines, supplies and consumables. Forintek’s 28 years experience has shown that building an honest and mutually beneficial relationship between the parties as well as sticking to all agreements and commitments are determining factors in any business. Forintek always adhere to and will continue to adhere to these principles. Much of Forintek's reputation as a reliable partner has been built through the personality of CEO of the holding, Mr Alexander Shelepen. Thanks to Forintek’s business activeness and stability, more and more companies are choosing Forintek Holding to do business with. There are about 2,000 national and international companies on Forintek’s customer database. Among them, there are leading food and beverages manufacturers, meat processing plants, and major chemical, pharmaceutical, car, electronics companies, not to mention warehouses and logistics centres. 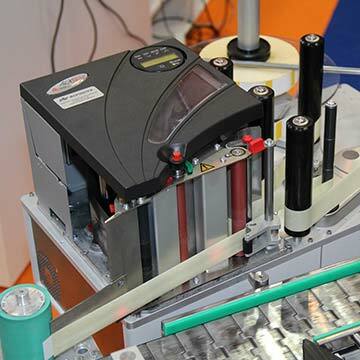 By now, there are over 11,500 units of different kinds of equipment installed by Forintek, which provides complete and effective solutions for coding, marking, labelling and packing of varied products. It’s just the beginning of Forintek’s history. We believe that a lot of interesting possibilities lie before all of us. If your company is interested in a long-term successful partnership, we would welcome you to join us! Copying of the material without reference to source is phohibited.